Stuff that Weighs More Than Me: Safe! This safe door was built in St. Louis, then installed in a bank in the “Loop Building” in Chicago and then rescued from demolition, brought back to St. Louis and installed in the unbelievably awesome City Museum. This used to be one of my regular haunts when we had our office on Washington Avenue in downtown St. Louis. It is totally filled with stuff kids love and stuff that makes you feel like a kid again. If you ever make it to St. Louis, first see the City Museum, then see the arch if you have time. It’s that good. Conclusion: The “safe door” entrance to the vault room at City Museum weighs more than me. Hint: If you’d like to hear more about being “safe” check out THIS new entry in The Fat Chick Sings. 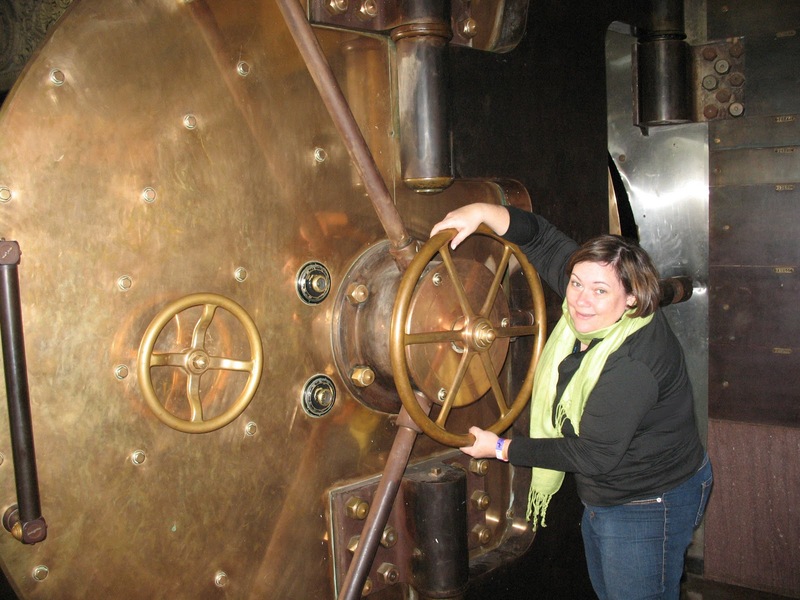 This entry was posted in city museum, door, funny, heavy, safe, stuff that weighs more than me, the fat chick on November 4, 2011 by fatchicksings.